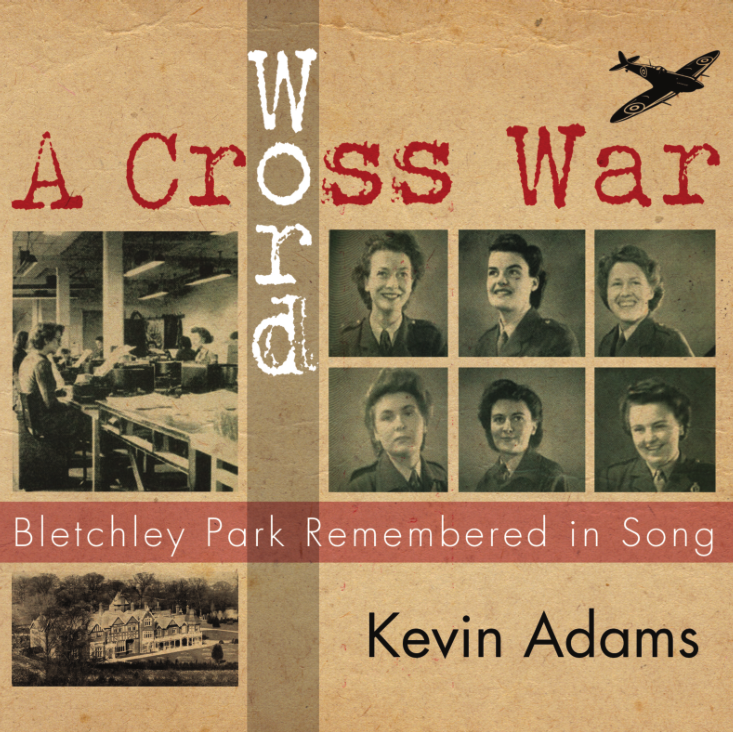 Local musician and long-time Living Archive band member, Kevin Adams, has just released a new album of songs picturing life at Bletchley Park during World War Two. Attention has often been focussed on the breaking of Enigma ciphers by men such as Alan Turing – and both Enigma and Turing make an appearance here – but many people (nearly ten thousand by the end of the war) fulfilled a whole variety of roles in the interception and interpretation of enemy radio traffic. The songs celebrate their work too. The songs range in musical style from simple piano/vocal to full orchestral, by way of lounge jazz, pub sing-along, Vera Lynn, Eric Coates and even ‘a bit Pink Floyd’, as one listener said, along with spoken word accounts, radio and newsreel. The album features contributions from a number of local musicians including Brad Bradstock and Marion Hill of the Living Archive Band. You can purchase the album from Kevin Adams’ website. Kevin Adams is a Milton Keynes based songwriter and musician. For the past twenty-five years he has been involved in writing, performing and recording music with the Living Archive Band, based on life in North Buckinghamshire, alongside a busy career playing traditional music around the UK and abroad.